Total Home Packers & Movers – because you deserve simply the best! Moving your stuff can be a cumbersome affair. And, we at Total Home Packers & Movers are here to make this cumbersome job easy for you. Proud to have a large fleet of vehicles that make your move throughout the country a hassle free affair, we have been serving people with our moving services for the past so many years. We have a widespread network of moving services, with offices located across major cities in the country. Whether you are in Chandigarh and moving to Delhi, or in Gurgaon and plan to move to Chandigarh, we are here to make your move effortlessly easy. First time a rumored and India’s driving relocation company giving its administration customize packing and moving administration in your city. Total Home Packers and movers comprehend the fundamental necessity of the customer and give culminate arrangement of all kinds of packing and moving administration issue. Total Home packers and movers are ISO ensured and one of the main packing and moving specialist organization Company in India. Total Home Packers and Movers hurling a wide range of claim armada of vehicle and friends additionally hurling own workplaces and related in practically in all aspects of a nation. Customer satisfaction is our first priority, this is the reason that we invest heavily in bringing state of the art equipment that ensures complete safety during the move. Not just domestic services, but we are here to help you with the safest commercial moves as well. We have a large pool of talented packers and movers who assure that your products reach their destination without any damage. Trust us to bring your precious equipment home in as it is condition, no matter where you are moving! We, as a whole think about the significance of security which is essential for every person in this world, yet when we discuss the well being of our physical world, one thing click in our mind i.e.”Total home packers and movers” who is fundamentally known with respect to packers and movers in India as an Army mode. Total Home Packers & Movers are well known for top Movers and Packers Chandigarh, best Movers and packers in Delhi and Relocation services in India. Total Home Packers & Movers is a quality-assured packers and movers company with many corporate branches at important cities of the country. We provide customizable movers packers services. Total Home Packers and Movers gives best services to relocation’s to the home shifting, official moving, household goods and industrial relocation, packing and moving services, Army goods creatures and vehicles with superb Technology and well being in all finished India. As simply here we are discussing the well being i.e. much the same as an armed force or military men we everyone think about this that the well-being turns into a basic need nowadays in each field. security gives us a safe place from chance which likewise gives us security and satisfaction for our future. “Packers and movers in Delhi” related to comfort secure and safe working we should be keen about well being. At whatever point we are getting moving from place to put for our self as well as for physical things in light of the fact that these every single physical thing makes our reality more wonderful we have to think about it. Total Home Packers & Movers Delhi additionally considers the security. The protection is another most critical household goods when we moving to the merchandise from place to put, for various products we have to keep protection as security likewise connected with well being. The variously terrible episode has occurred because of the absence of protection and well being of products. Packers and Movers in Chandigarh, Panchkula, Ambala, Patiala being one of the trusted and reliable packers and movers services deal in packing moving, relocation, movers and packers, home shifting in India. Total Home Packers and Movers Chandigarh is domestic packers movers company provides household goods relocation and goods packaging & moving service in Chandigarh. Total Home Packers and Movers have expelled out these all such kind of happening, this is because of our arranging, vision devotion assurance secure and well-being vision for you and furthermore your confidence which is our need. Hence with warm respects, you are most welcome to the “packers and movers in Chandigarh” 24 hours accessible for migration as armed force men overall finished India. Packers and movers in Chandigarh promise that no one can help you better with your domestic and commercial moves in the country. Our affordable moving services come with the complete assurance that your goods will reach their destination in the quickest possible time and without any harm. 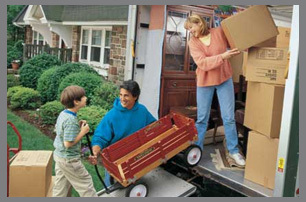 To make your move hassle free, get in touch with our professionals so that they can guide you with the entire process. Make sure you get in touch us with ample time to spare before the move so that we can employ state of the art practices to safely transport your goods! What are you waiting for? Give us a call now and one of our packing and moving experts will accompany you in everything you need to do before we take over.